The following story is recorded in Recollections of Men of Faith, by W.C. Rogers, in the chapter on John. T. Johnson. This book will soon be available in the Jimmie Beller Memorial eLibrary, as well as in print from Cobb Publishing. But we thought this section was well worth sharing, and we hope you do too. Enjoy! In company with Elder R.C. Ricketts, a prominent preacher in Kentucky, John T. Johnson visited Little Rock, Ark., for the purpose of proclaiming the Gospel in its primitive purity and power. After the meeting had advanced a number of days, and quite a number of persons had become obedient to the faith, an incident occurred of more than ordinary interest, and which I feel ought to be preserved. Judge Johnson, of the city of Little Rock, a brother of the evangelist, a prominent politician, had been attending the meeting nightly with his wife, but neither belonged to any religious body. Like many others, Judge Johnson had never given the subject of Christianity very much thought; perhaps owing to the fact that he was constantly engaged in the affairs of this life, and had no time, as he supposed; it may have been that he knew not what to do, because of the many sad divisions in Christendom. Through courtesy or curiosity, he and his amiable wife had been attending church and listening to the preaching of John T. Johnson and R.C. Ricketts. But sometimes it turns out that those who attend religious services through curiosity become deeply concerned for their souls’ salvation. This was the case with the Judge and his wife at the time of which we are speaking, although, I presume, neither would have acknowledged it. The following night the Judge and his wife came to church and sat a little nearer the pulpit than usual, the wife placing herself on the end of the bench and next the aisle; the Judge occupying a place near the center of the house and directly in front of the pulpit. At the conclusion of the discourse, and while the invitation song was being sung, the Judge’s wife stepped forward and gave her hand to Bro. Ricketts. She took her seat on the front bench preparatory to making the good confession. The Judge, seeing this, could bear up no longer; so, stepping right over the benches, forward he came, and, weeping as a child, seated himself beside his wife, the great tears rolling down his furrowed cheeks. Making the good confession with much feeling, he remarked in the hearing of many, “I am now ready to go down into the muddy waters of the Arkansas and be baptized in the presence of the lawyers, doctors, and all who may be inclined to witness my obedience to the faith.” How few know themselves. We went to Lowe’s recently, and on the receipt, there was a website listed where you can be entered for a $300 Lowe’s gift card, just by filling out a survey. The survey took about four minutes, but there was one part that really stuck out: you have to enter in your name, address, and phone number in order to be entered into the drawing. It said you must fill out all the information requested in order to be entered. The Bible uses this word as well, and it is very important that when God uses the word “must,” His followers pay attention! Genesis 17:10-14 – This is my covenant, which ye shall keep, between me and you and thy seed after thee; Every man child among you shall be circumcised. And ye shall circumcise the flesh of your foreskin; and it shall be a token of the covenant betwixt me and you. And he that is eight days old shall be circumcised among you, every man child in your generations, he that is born in the house, or bought with money of any stranger, which is not of thy seed. He that is born in thy house, and he that is bought with thy money, must needs be circumcised: and my covenant shall be in your flesh for an everlasting covenant. And the uncircumcised man child whose flesh of his foreskin is not circumcised, that soul shall be cut off from his people; he hath broken my covenant. In order to be part of the covenant with God, the descendants of Abraham must needs have been circumcised. The ones who were not circumcised were cut off from the people. In order to be part of this covenant, circumcision was an absolute requirement; it was mandatory; there was no wiggle room or loophole. Being a physical descendant of Abraham wasn’t enough to be in this covenant—circumcision was required—and it was non-negotiable! Don’t miss the “must” here! People could claim to be in this covenant with God, but if they were not circumcised, they were claiming a falsehood—they were lying! By claiming to be in the covenant with God without circumcision, they were calling God a liar—saying that His requirements weren’t really requirements at all. 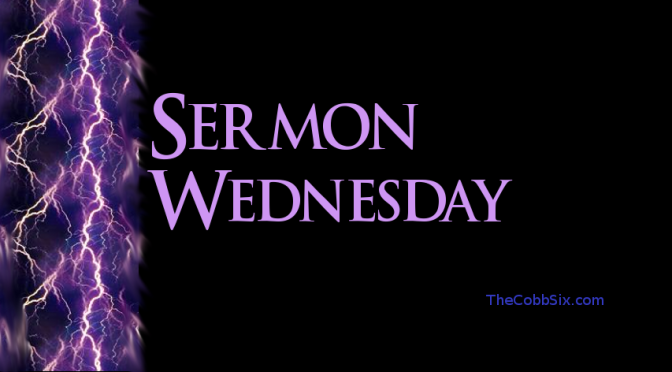 Leviticus 23:4-8 – These are the feasts of the LORD, even holy convocations, which ye shall proclaim in their seasons. In the fourteenth day of the first month at even is the LORD’S Passover. And on the fifteenth day of the same month is the feast of unleavened bread unto the LORD: seven days ye must eat unleavened bread. In the first day ye shall have a holy convocation: ye shall do no servile work therein. But ye shall offer an offering made by fire unto the LORD seven days: in the seventh day is a holy convocation: ye shall do no servile work therein. When God issues this command to Moses to pass on to the Israelites, He doesn’t give every detail—He doesn’t mention the Passover Lamb, the time in which it is to be killed, the casting out of all leavening from the house—but He does make one thing abundantly clear: they must eat unleavened bread for seven days in order to keep this holy feast. Don’t miss the “must” here! If they ate leavened bread, they weren’t keeping the holy feast. If they had unleavened bread in the house, but they didn’t eat it, they weren’t keeping the holy feast. People could claim to be keeping the Passover, but if they didn’t eat unleavened bread for seven days, then they were claiming a falsehood; they were profaning God’s divinely-instituted feast. Somewhere along the way, after this command was passed on from God to Moses to the Israelites, the people had left the proper observance of the Passover—some believe they had forgotten the Passover completely! But after the book of the Law was rediscovered in the days of Josiah, it was observed properly again. 2 Kings 23:21-23 – And the king commanded all the people, saying, Keep the Passover unto the LORD your God, as it is written in the book of this covenant. Surely there was not holden such a Passover from the days of the judges that judged Israel, nor in all the days of the kings of Israel, nor of the kings of Judah; but in the eighteenth year of king Josiah, wherein this Passover was holden to the LORD in Jerusalem. We could also mention how the ones who took the Nazarite vow were told that they “must” keep the vow in a certain way (Numbers 6:1-21, especially verse 21). We could show that Moses had been shown by God that he “must” die without being able to cross into the Promised Land because of his sin (Deuteronomy 4:21-22, 31:14)—which means that if Moses made it across the Jordan River, God was a liar. We could show that the Angel of the LORD told Manoah, “If thou wilt offer a burnt offering, thou must offer it unto the LORD” (Judges 13:16)—which means that God would not accept any burnt offering that was offered to anyone else. We could look at the reaction of the Israelites when Ezra told them they had to make confession to God and put away their strange wives—they said, “As thou hast said, so must we do” (Ezra 10:11-12). They understood that to be right with God, they were required to confess their sin and show their repentance through action—any other response would have been inadequate; they could claim to be following God, but without the confession and repentance, they would have been lying. Don’t miss the “must”! In each of these examples from the Old Testament, if the person didn’t follow the “must,” they weren’t truly followers of God. They could claim it all they wanted, but they would have been doing nothing more than usurping the title of “children of God,” profaning the commands of God, and implying that God is a liar. Certainly, the word “must” is important! But let’s now look at some “musts” from the New Testament. The Jews, for the most part, had a much different view of the Messiah, the Christ, than God did. They expected a military marvel, a sequel to the victorious David, leading their armies to prominence and their nation to freedom from the Roman Empire. But that’s not how God had it planned. Matthew 16:21 – From that time forth began Jesus to shew unto his disciples, how that he must go unto Jerusalem, and suffer many things of the elders and chief priests and scribes, and be killed, and be raised again the third day. Mark’s account says that Jesus told them the “Son of man” must suffer those things (Mark 8:31). After the transfiguration, Jesus answered their question about the Elijah that must come first, and said again that the Son of man must suffer many things and be set at naught (Mark 9:11-13). Matthew 26:53-54 – Thinkest thou that I cannot now pray to my Father, and he shall presently give me more than twelve legions of angels? But how then shall the scriptures be fulfilled, that thus it must be? There are other passages that make this same point, but these should suffice. Jesus said unequivocally that He must suffer; He was required to suffer and die. Don’t miss the “must”! If Jesus did not suffer and die, then He was not the Messiah. If Jesus did not suffer and die (and rise up again on the third day), then He was a usurper of the name “Christ,” He was a liar, He was a blasphemer, and He is someone who should not be followed. However, the evidence shows conclusively that Jesus did suffer, that He did die, and that He was raised from the dead. He said that it must happen, and it did! Don’t miss the “must”! There are people today who claim to be Christians, but who have never been born of water and spirit—they have never been born again! They have simply taken the divinely-given name, claimed it for themselves, all the while never doing that which makes the name valid: being born again. My friends, these people are not Christians! No amount of claiming the name will make it so! They are not part of the kingdom of God, because they haven’t done the thing which Jesus said must be done to be part of it! The Scriptures define what being “born again” is. Romans 6:3-5 describes the process which culminates in “rising to walk in newness of life”—a new life, a new birth out of the water (John 3:5 literally says “born out of water”) to be free from sin. When God says “must,” you’d better pay attention! If someone wasn’t circumcised, they were not part of the covenant—no matter what they claimed. If someone didn’t eat unleavened bread, they were not observing the Passover—no matter what they claimed. If Jesus didn’t suffer, die, and rise again, then He wasn’t the Christ—no matter what He might claim. If we are not baptized for the remission of sins, then we are not Christians—no matter what we claim. 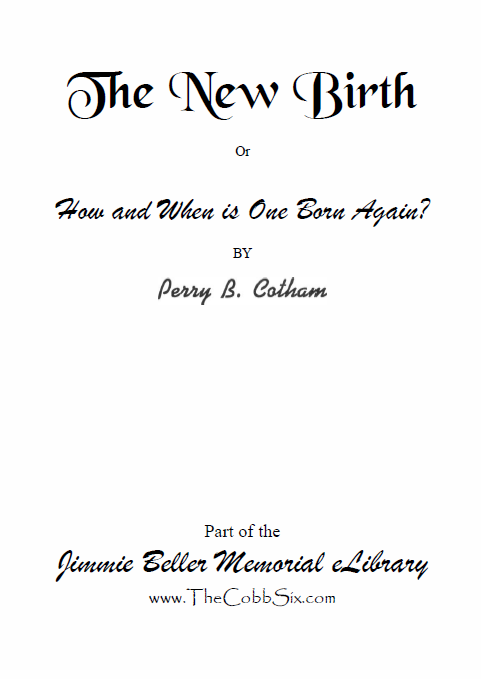 The New Birth, or How and When is One Born Again? Perry Cotham was a great gospel preacher who passed away back in 2013. He wrote several tracts during his lifetime, and this is one of his best. He wrote clearly, biblically, and convincingly. 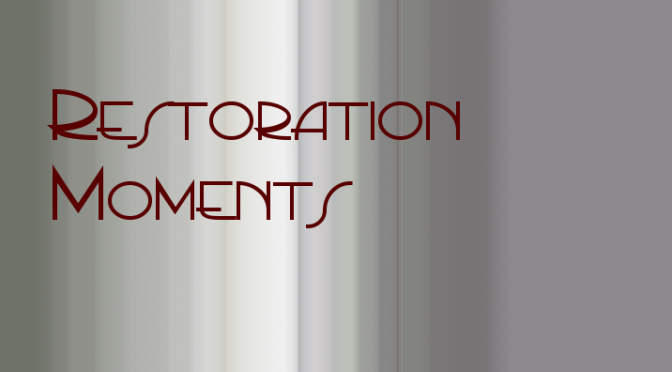 To read this completely reformatted and corrected work, just click the link below. You’ll be benefited by it! Another day, another FREE, completely reformatted and corrected eBook! Today’s entry into the Jimmie Beller Memorial eLibrary is a 23-page tract by someone who calls himself “Aquila.” This was originally published in the late 1800s or early 1900s, but is still very relevant today. Today’s addition to the Jimmie Beller Memorial eLibrary is a small booklet comprised of four tracts on the topic of conversion. Like yesterday’s entry into the eLibrary, this one was also written by John Anderson. But there was no date on this one. We can only guess that it was put our sometime in the 1940’s or 50’s. To Anxious Enquirers: What Must We Do? To download this book for later use, or to read it online today, just click the link below!!!! As we continue our anniversary celebration (The Jimmie Beller Memorial eLibrary is one year old this month! ), we are proud to announce yet another addition to the FREE eBooks available exclusively from our website. Today’s new offering was originally published in 1949 as a tract. It is called “Baptism: The Purposes it Fulfills and Changes it Effects” and was written by John Anderson, a preacher in Australia. 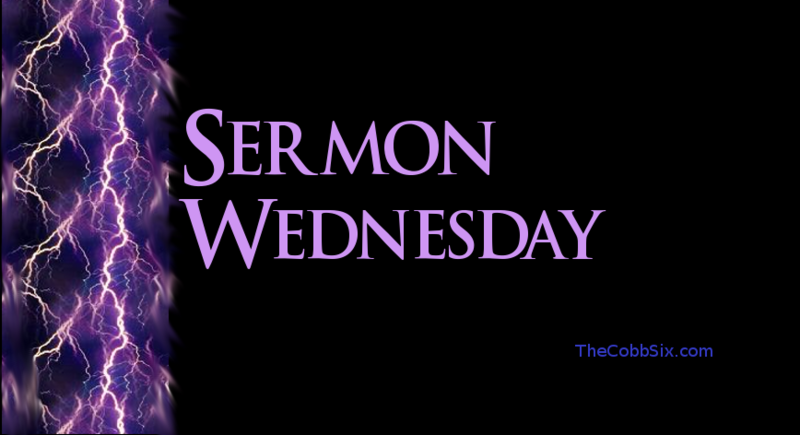 We think you will find it interesting, as he approaches the topic of baptism in a slightly different way than you usually hear in sermons. As always, we’ve reformatted and corrected this book so that you can enjoy it on your digital devices. Just click the link below to add it to your collection! 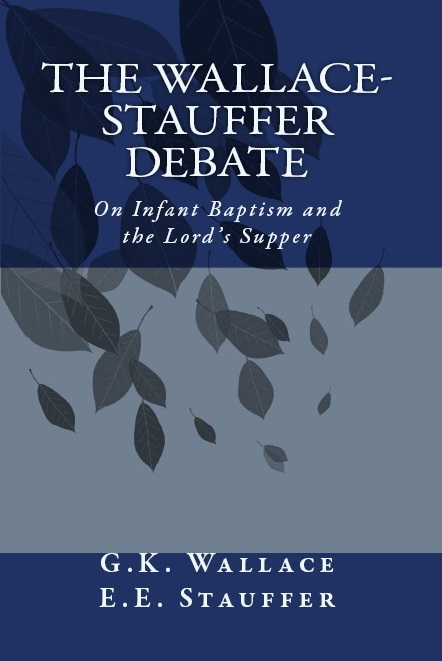 Where does the Bible authorize–or even mention–infant baptism? Wallace then exposes the false idea that the Lord’s Supper literally turns into the physical skin and blood of Jesus. Stauffer is unable to counter his arguments and calls the debate to a close. Back in 2014, we took this debate and gave it the full Cobb Publishing treatment, correcting all the mistakes we could find, and refurbished the whole thing to give you the best possible reading experience. We still have it available in print (just $5.99), but we’re also making it available as an eBook for free in the Jimmie Beller Memorial eLibrary! To read it online, or download for later enjoyment, just click the link below!